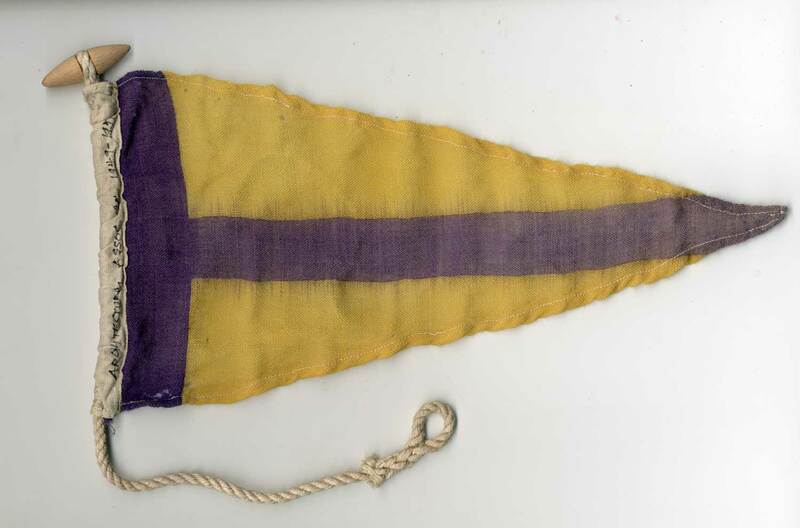 First mention of any such pursuits is made in 1888 when a rowing club was proposed, complete with annual events such as rowing up the Thames to Oxford. By the turn of the century, this small club seems to have petered out and it was not until 1936 that boating was resurrected in the form of the AA Sailing Club. 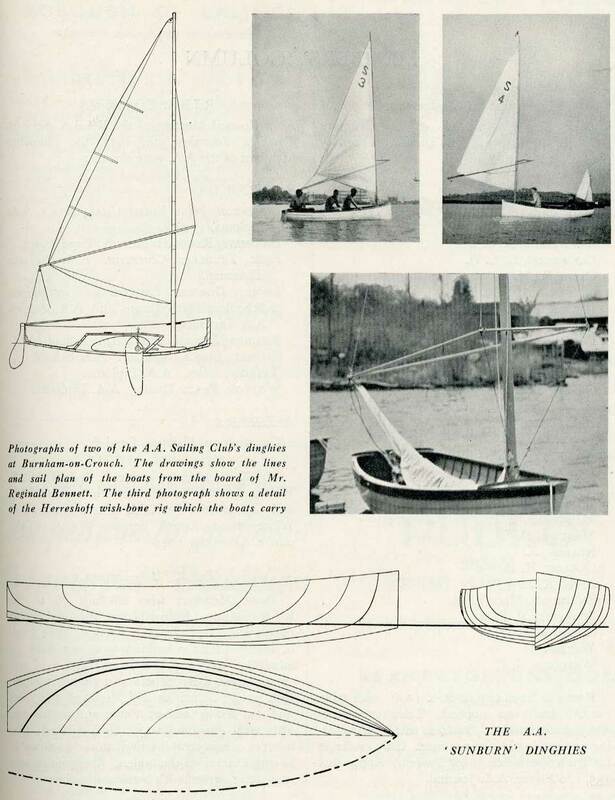 The club managed to purchase 5 twelve foot ‘Sunburn’ dinghies, as illustrated in the AA Journal below and which were moored at at Burnham on Crouch, Essex. 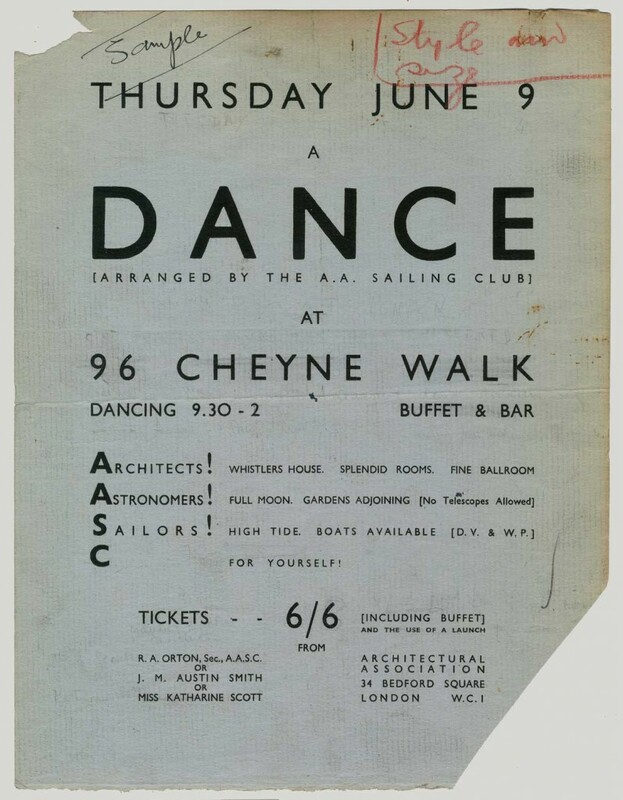 The Club was also affiliated to the Royal Corinthian Yacht Club, whose modernist clubhouse by Joseph Emberton would have just been relatively recently completed. Notable amongst the names of the organisers is that of Katharine Scott who, a year or so earlier, had showed at the Sailing Club AGM a film journal of her 24 day voyage between Glasgow and Kotka, Finland, working on-board a 4 masted barque!